A winter salad for these final weeks of an epic season: sweet carrots, crisp cabbage and green onions with a simple soy and lime dressing. To the original dressing recipe, I added a drop of sesame oil and about 1/8 of a teaspoon of tamarind paste. 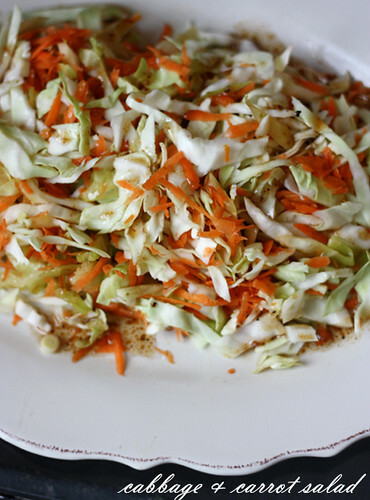 The result is, I suppose, a cleaner, tarter species of coleslaw. I don't naturally incline toward salad on a winter's night, but this one left me optimistic about spring. Combine the vegetables. Whisk together the oil, lime juice, and soy; taste and add salt and pepper if necessary. Toss the dressing with the vegetables and serve.